Ace Deer Hunting is the 3D arcade hunting game with great 3d graphics. 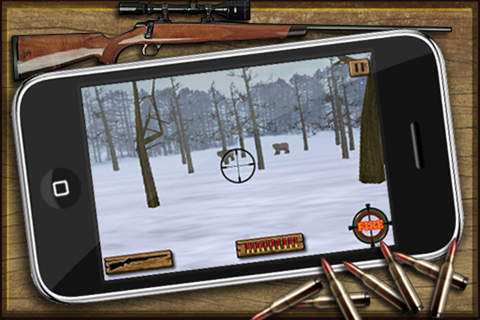 - unlock new weapons and scene by hunting the deer. Your mobile device must have at least 41.64 MB of space to download and install Ace Deer Hunting app. Ace Deer Hunting is FREE to download. Hurry up to get this app for free! If you have any problems with installation or in-app purchase, found bugs, questions, comments about this application, you can visit the official website of MystoneGame Inc Gang Zeng at http://www.mystonegame.com/index.php/browse-games/69-ace-deer-hunter.html.